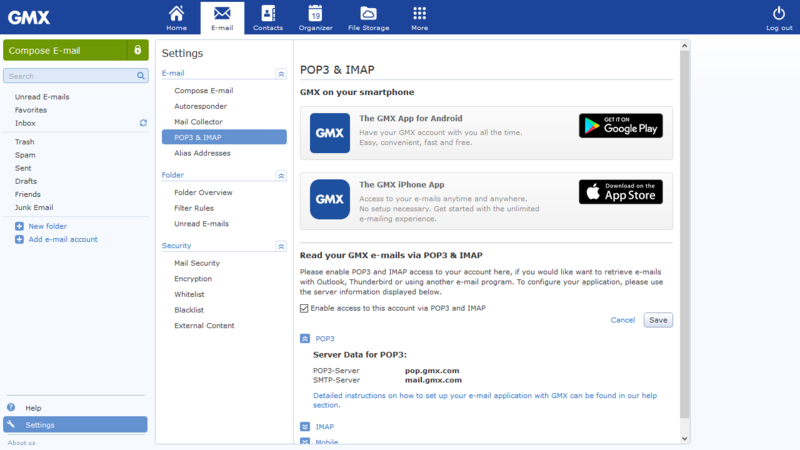 To use 3rd party email applications, you need to activate pop3/imap sync in your GMX settings. We were unable to load the video. Need a better web browser?